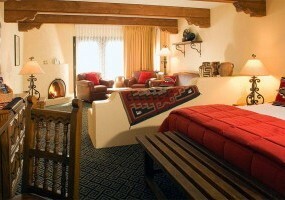 Inn of the Governors’ most exclusive guestrooms are located in the Governors Wing of our historic Santa Fe hotel. 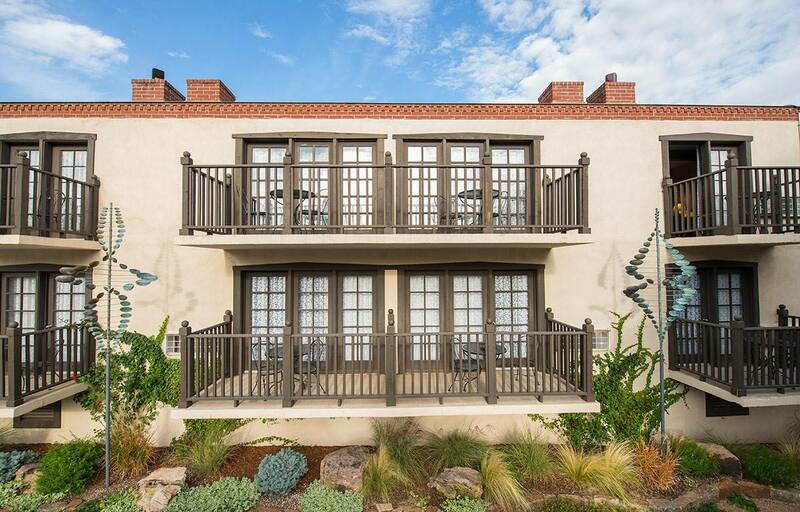 They feature one king or two queen beds, pull-out queen sleeper sofa, dual vanities, stocked mini-bar, in-room safes, table and chairs and French doors that lead out to a private balcony. 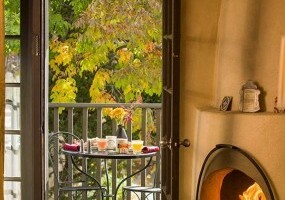 Most rooms have authentic wood-burning kiva fireplaces. 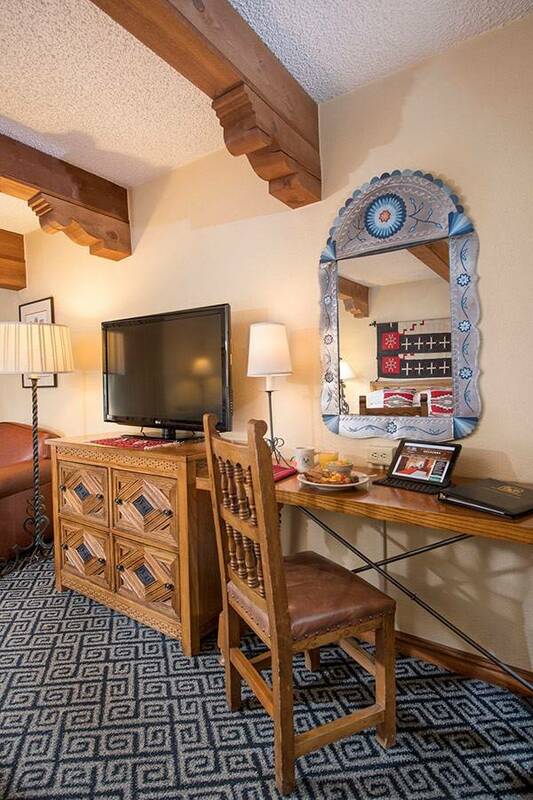 Mini-Suites are ideal for private meetings, breakout rooms and hospitality functions. 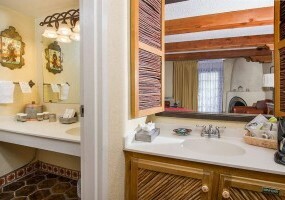 There are seven Mini-Suite Rooms at 392 sq. 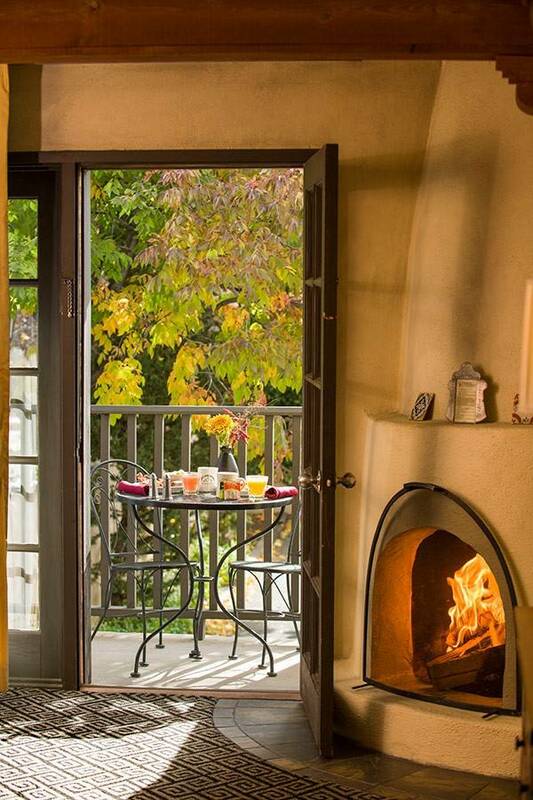 feet each; five of these rooms have fireplaces. 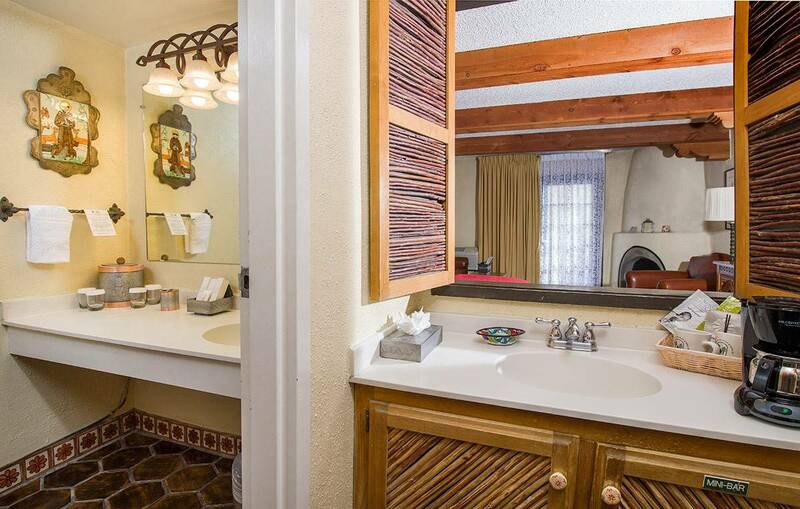 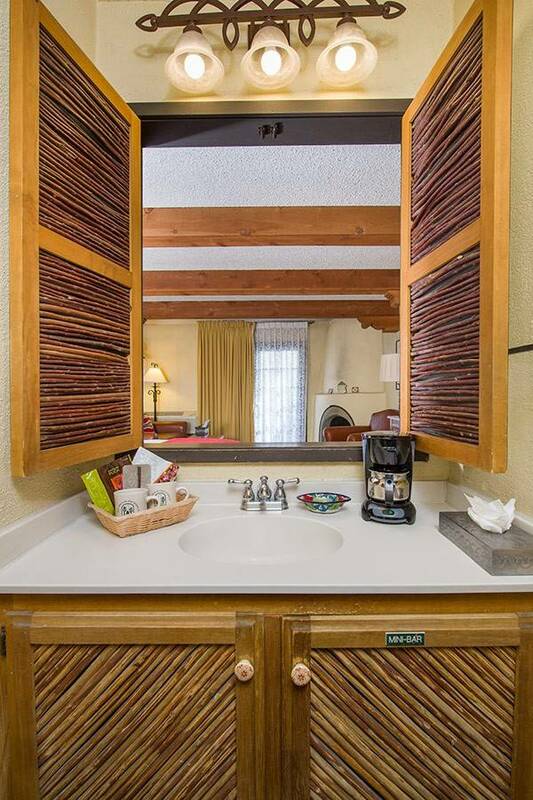 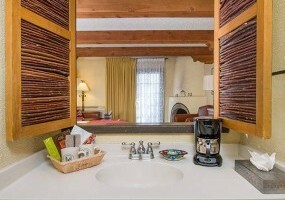 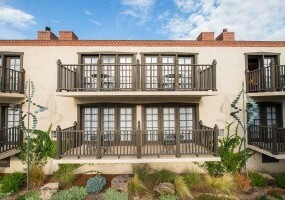 Enjoy this luxury Santa Fe hotel suite near the plaza.